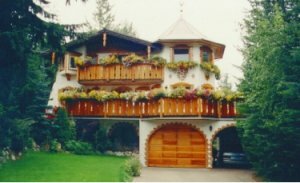 If you own a bed and breakfast in Whistler then you can advertise it here at BedandBreakfastWhistler.com for free on this web site. Edit and/or modify your listing complete with photos anytime using only your web browser. Luxurious Nusalya Chalet is one of the most Beautiful Top Rated Alpine B&B's on the West Coast awarded 4 � stars by Canada Select. Penguin Publishing has chosen Nusalya for the front cover of the Canadian Bed and Breakfast Guide 2002-2003 edition. 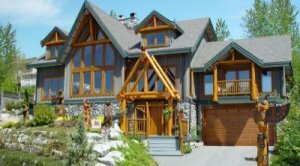 The Unique architectural exterior includes flared logs, river rock, creative landscaping with handcrafted detail everywhere. Located within walking / skiing distance from Whistler Village Haus Heidi is full of Bavarian charm. Built on three floors Haus Heidi offers luxury accommodation at affordable prices with 7 bedrooms to choose from. Haus Heidi offers the exhilaration of an outdoor hot tub that can accommodate 10, and a ground floor sauna which will take 8 people. You can enjoy the spacious living room with a log fire and television, take in the air on the sunny balcony and settle down in the large dining area, which being on the second floor, offers stunning views. If you wish to list an attraction or recreational event or activity then you may do so for free at RecreationWhistler.com which is the parent site of many other Recreation sites across Canada.